BBC One South East switched to Astra 1N satellite at 10803.00MHz, pol.H (DVB-S , 10803.00MHz, pol.H SR:22000 FEC:5/6 PID:5900/5901 Ingles). BBC & Freesat & Sky Digital: Nueva frecuencia para BBC One South East: 10803.00MHz, pol.H (DVB-S SR:22000 FEC:5/6 SID:6461 PID:5900/5901 Ingles - En abierto). Sky Digital: Nuevos PID para BBC One South East en 10818.00MHz, pol.V: PID:5100/5101 Ingles SID:10352 ( SR:22000 FEC:5/6 - En abierto). BBC & Sky Digital: Nuevos PID para BBC One South East en 10818.00MHz, pol.V: PID:2317/2318 Ingles SID:10352 ( SR:22000 FEC:5/6 - En abierto). BBC & Sky Digital: Nuevos PID para BBC One South East en 10818.00MHz, pol.V: PID:2321/2322 Ingles SID:10352 ( SR:22000 FEC:5/6 - En abierto). BBC & Sky Digital: Nuevos PID para BBC One South East en 10818.00MHz, pol.V: PID:2320/2321 Ingles SID:10352 ( SR:22000 FEC:5/6 - En abierto). BBC & Sky Digital: Nuevos PID para BBC One South East en 10818.00MHz, pol.V: PID:2323/2324 Ingles SID:10352 ( SR:22000 FEC:5/6 - En abierto). BBC & Sky Digital: Nuevos PID para BBC One South East en 10818.00MHz, pol.V: PID:2318/2319 Ingles SID:10352 ( SR:22000 FEC:5/6 - En abierto). BBC & Sky Digital: BBC One South East (Inglaterra) está en abierto (10818.00MHz, pol.V SR:22000 FEC:5/6 SID:10352 PID:2308/2309 Ingles). 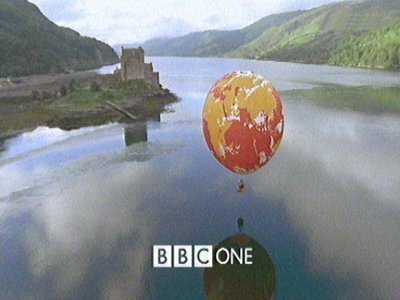 Sky Digital: Inicio de BBC One South East (Inglaterra) en DVB-S , VideoGuard, en 10818.00MHz, pol.V SR:22000 FEC:5/6 SID:10352 PID:2308/2309 Ingles.